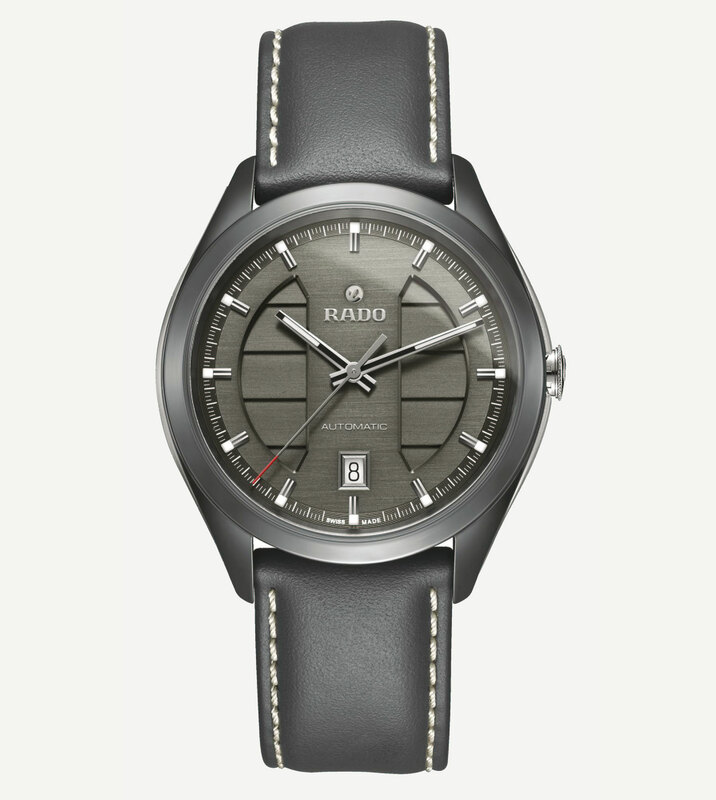 Rado's compact, affordable and very lightweight wristwatch gets a new dial. 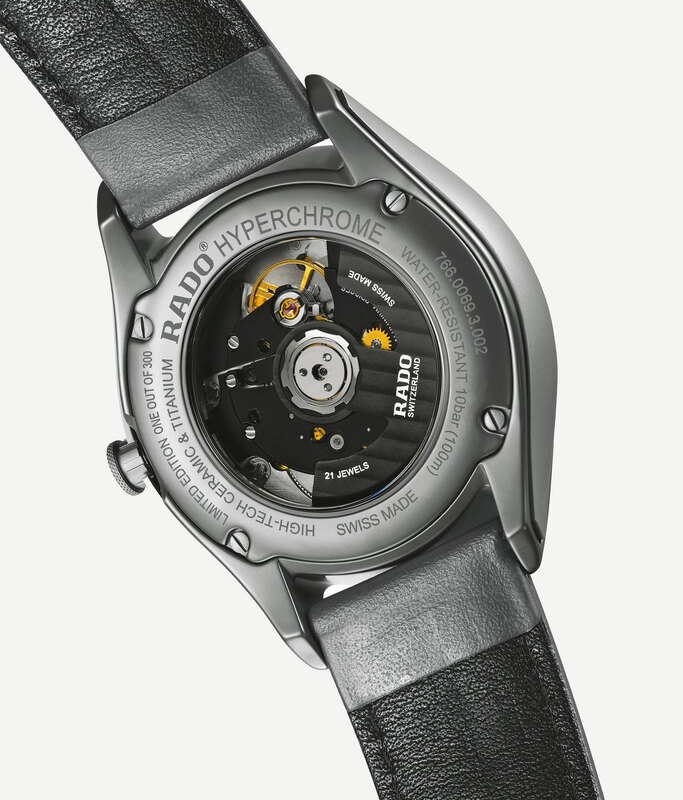 First introduced at Baselworld 2016, the Rado HyperChrome Ultra Light is a shockingly light timepiece, weighing just 56g or 2oz – the equivalent of 10 sheets of printer paper. While the first version had a somewhat faint dial design, the new HyperChrome Ultra Light is more resolutely styled. The HyperChrome Ultra Light “Deep Grey” features a symmetrical, two level dial, with horizontal steps visible through apertures on each half of the dial. That’s matched with contrast minute track, baton numbers and larger hands than before, giving the dial a functional feel. Both the hands and hour markers have Super-Luminova filling, giving them nighttime legibility. But the case, which is the highlight of the watch, remains exactly the same as before. 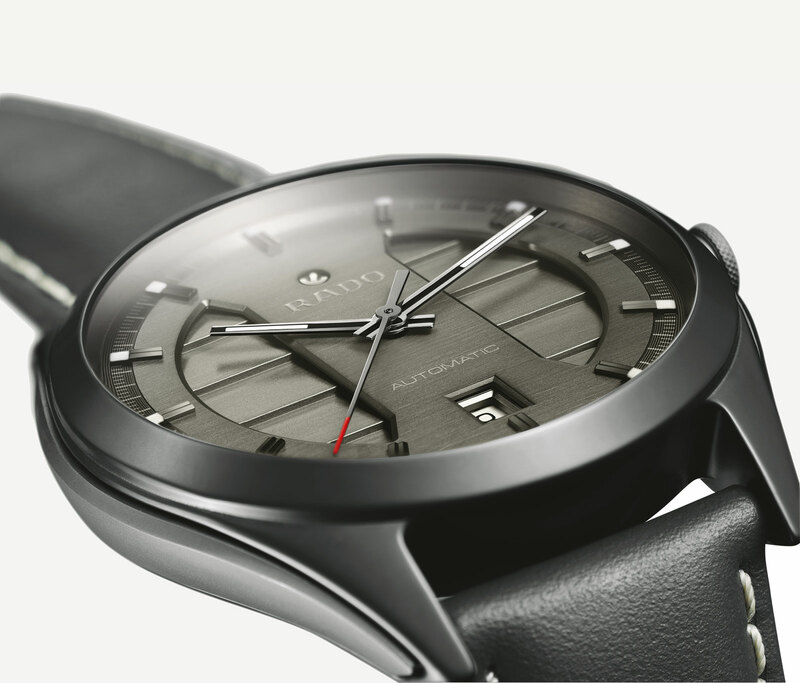 It’s 43mm in diameter and made of silicon nitride, a dark grey ceramic that’s extremely hard but light. Both the bezel and case middle are a single piece of ceramic, with titanium inserts on each flank of the case band, while the ceramic case back is secured by four screws. Visible through the display back is the ETA A31.L01, a self-winding movement that’s an reworked ETA 2892 with a lengthened power reserve of 65 hours (versus the usual 45 or so). More notable are the aluminium bridges, which have been finished in a matte black. They replace the usual brass bridges and help trim the weight of the watch. A limited edition of 300 pieces, the HyperChrome Ultra Light “Deep Grey” (ref. 766.0069.3.115) is priced at US$2850 or S$4420. It’s available at Rado boutiques and retailers. A mechanical wristwatch weighing as much as ten sheets of paper, the Rado HyperChrome Ultra Light is surprisingly affordable.